THE CASSETTE TAPE ZIPPY POUCH TUTORIAL. 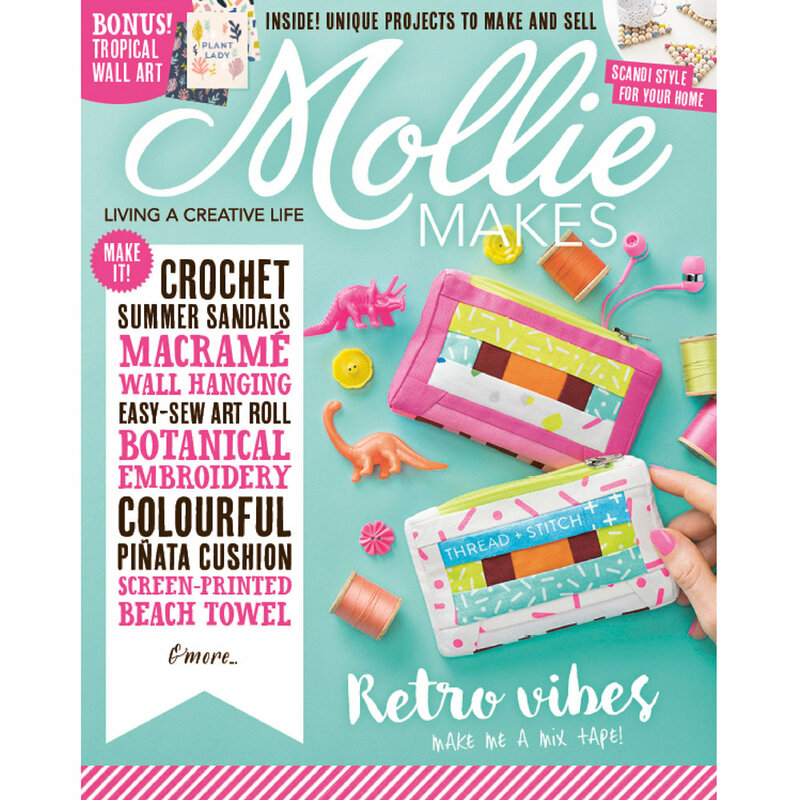 Now available in the pages of Mollie Makes Issue 94! Ask for it at your local bookstore or subscribe HERE (subscribers receive a Liberty "The Cottage Garden" fabric bundle plus a BONUS Mollie Makes project book!). It's truly one of the most beautiful magazines I've ever come across... and that's way before I landed on the cover! There are also digital versions available too: Apple, itunes and Google Play... but then you don't get the cute make and takes with each issue. Make just for keeping change, head phones, buttons or anything you hearts desire! PS The cassette tape "purse" as they like to call in the magazine (tee hee) can also be used with the BOOMBOX sewing machine cover!